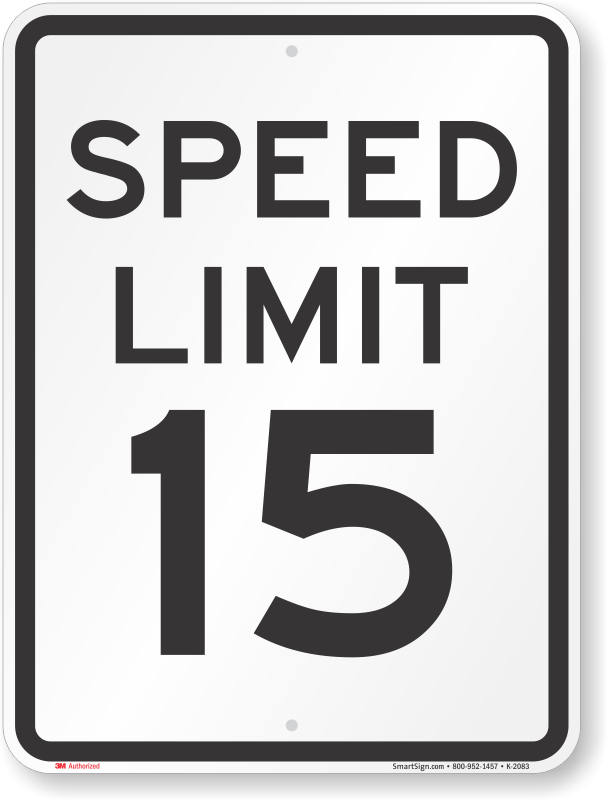 Post speed limit signs around your facility: slow down traffic and help prevent accidents. Signs are made from 3M's reflective engineer-grade film. Signs are made from durable, lightweight aluminum. 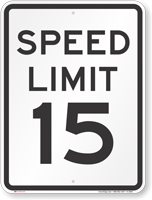 These rust-proof Speed Limit Signs outlast the worst weather conditions. These municipal-quality signs are great for schools, hospitals, churches, parking lots, garages or visitor areas. Clear lettering, sturdy constructed metal. Signs arrived early and are just as promised. Very well made and fabulous price compared to local sign stores and some other internet sources. Would order from this company again. Great product for the price. Great delivery. Will be using again.